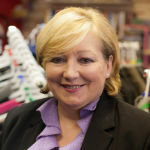 Isabella is the Chief Executive at Deafblind Scotland, appointed in early April 2019. Isabella has a wide range of experience working in charities but started her career as nurse in 1984. For the previous 15 years Isabella worked within the Mental Health Foundation, managing See Me the national anti- stigma programme, establishing the Scottish Mental Health Arts and Film Festival, working with Refugees to establish projects such as Amaan for women who experienced trauma and developed a new service user led organisation – Voices of Experience (VOX). She supported the strategic development of mental health services in Scotland through working with the Scottish Government to develop the National Standards for Crisis Services and undertaking the Review of Mental Health Services: Commitment 1 of the Scottish Mental Health Strategy (2012-15). 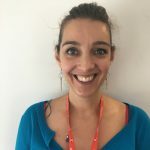 Over the past five years Isabella has worked as UK Director, leading Research, Policy and Innovation Programmes for the Mental Health Foundation alongside a programme of international public mental health partnerships. ‘delighted to be leading an organisation with such an obvious commitment to improving lives but also to working side by side with members and those that use its services to ensure that people who experience dual sensory impairment are at the heart of the organisation’. Furthermore, she has stated that ‘it is an enormous privilege to be invited to lead the organisation through the next stage of development. Margaret joined Deafblind Scotland during 2012 and has responsibility for the financial activities of all aspects of the Charity. Her career has spanned more than 35 years, employed in many different environments including both public, private sector organisations. As a member of the executive team Margaret ensures that the Charity’s financial accounting is monitored and reported to the Board of Directors. She is an integral part of the team and is pivotal maintaining and developing robust systems and processes. She is also responsible for liaising with and developing external relationships where appropriate with funders and providers alike. 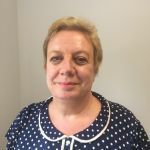 Elaine previously worked for a financial institution for 23 years and embarked on a massive career change when she started with Deafblind Scotland in December 2003 as Literacy and Numeracy Project Officer. Since then Elaine has managed several projects including Community Involvement, Volunteering, Charity Shop and Participation. Elaine achieved her Diploma in Deafblind Studies in 2009, which allowed her to broaden her skills and knowledge of deafblindness. She joined the Guide/communicator team in April 2013 and since then has completed a PDA in Supervision and SVQ 4. 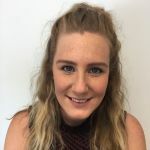 As Depute Manager she liaises with stakeholders, maintains networks with colleagues in sensory impairment and beyond, assesses for membership, negotiates, sets up and reviews services and is involved in the day to day running of the service. Elaine is a regular supporter of events and has been known to parade the catwalk at a fundraising fashion show! 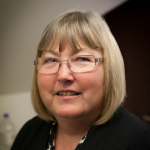 Margaret has worked for Deafblind Scotland since 2001 as their Membership Officer. 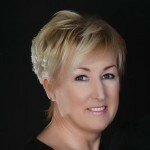 Margaret’s primary role is dealing with enquiries regarding new referrals for membership. She also arranges visits to assess people for membership and to see how best Deafblind Scotland can be of use to them. Margaret regularly contacts various external agencies on behalf of members to request an assessment for equipment or funding for a guide/communicator service. Outside the office Margaret and her husband are members of the National Trust for Scotland and Historic Scotland and enjoy visiting their various properties around the country. Debbie previously worked in the Oil & Gas sector for the last 8 years. After being made redundant Debbie decided it was time to embark on a career change. Debbie joined Deafblind Scotland May 2018 as part of the Guide Communicator Service in the role of Supervisor. As supervisor her role is to lead and inspire the team of guide/communicators to excel in service delivery, through leading by example, encouraging innovation and autonomous practices. In addition ensuring that a safe, effective and efficient service is maintained which meets the needs of services user. In the role of supervisor Debbie get gets the opportunity to get out and meet the Guide Communicators and the Service Users a role which she is very much enjoying. Debbie is currently undertaking her SVQ3 Health and Social Care and will embark on the PDA Supervision in the future. Debbie is proficient in the use of British Sign Language and has underwent the Guide Communicator Training. In her spare time Debbie has a busy family life with her 3 daughters and when she is not being mums taxi she is out walking her beloved Old English Sheepdog Benji. Jill works in the Guide/Communicator Service. She joined DbS in 2017 after taking a year off on maternity leave. Having previously worked in Employment Law and Human resources, Jill decided she wanted a fresh challenge, and wanted to be involved in an organisation that makes a difference to individual’s lives on a daily basis. Jill is enjoying her time at DBS, and is enjoying getting to know all the members. She enjoys being kept busy, and likes the challenges that the job brings. In her spare time, Jill enjoys spending time with her family, and is kept busy running after her toddler. 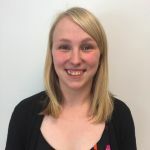 Louisa started at Deafblind Scotland in April 2018 working in the Guide Communicator Service as an Administrator Assistant. Louisa enjoys working at DbS, and embraces the ever changing nature of her work. She likes that no two days are ever the same, and the challenges that this presents. Prior to working with DbS, Louisa worked in the retail sector, running craft classes for members of the public. At the weekend, Louisa still enjoys organising craft birthday parties, and other similar activities. If she is not running a craft class, then you will find her walking her beloved rescue Greyhound Blanca. Carolanne has worked with Deafblind Scotland as an Administrator since 2007. Her role primarily involves the smooth running of all daily and monthly administration tasks associated within the Finance and Service Department, including regular contact with the Guide/Communicators. 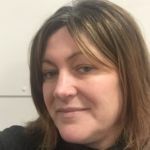 Carolanne thoroughly enjoys working with all her colleagues at Deafblind Scotland and since joining the Charity she has gained qualifications in BSL level 2. She is currently undertaking a course on Sage Financial Controller Accounting Software. Sarah has worked in the voluntary sector for over 20 years, spending the last 8 years in grant fundraising. 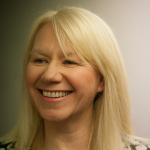 She has considerable experience in writing successful funding applications that evidence the three vital considerations for funders – real need, value for money and a well managed project. Sarah is a member of the Institute of Fundraising (IOF) and is a committee member of the IOF’s Special Interest Group – trusts and grants. 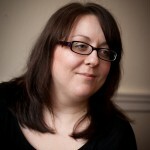 Sarah is responsible for implementing Deafblind Scotland’s income strategy and managing the fundraising team. Sarah and her husband love the Scottish seaside, having family parties and spending time with their cat Daisy. Sandra joined Deafblind Scotland in October 2013 as a Community and Events Fundraiser organising various events such as our first Ladies Lunch and Midnight Walk. Sandra also worked closely with volunteers to help at various can collection at supermarkets, shopping centres and festivals. In September 2014, Sandra took over the management of our charity shop in Kirkintilloch which was closed for refurbishment and reopened on 30th October 2014. Anne Marie’s role is to recruit and manage volunteers involved with Deafblind Scotland including those raising money through fundraising events. As well as this she is responsible for the organisation and logistics surrounding the bespoke events for Deafblind Scotland such as the Sports Dinner and Ladies Lunch. 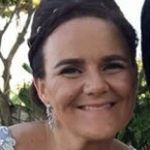 Previous to Deafblind Scotland Anne Marie spent many years working as an Event Manager for a London based agency, managing events for clients such as Toyota and The London Olympics. In her spare time Anne Marie can be found at gigs or climbing Munros around Scotland. The health access project aims to ensure deafblind people can fully benefit from mainstream health and social care services. The project aims to highlight the needs of deafblind people for communication support to allow them to access services. John can provide advice and assist on developing policies and solutions. 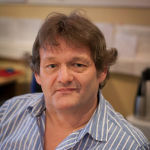 John is also our Training Officer, whose priority it is to ensure all DbS Guide Communicators and Staff are qualified to provide the highest level of communication & guiding support in the various formats for people living with dual sensory impairment and enable deafblind people equal access to information, communication and mobility. John travels all over Scotland & Islands to deliver DbS in-house Courses such as Awareness training and Deafblind Manual. He is often called upon to deliver talks to Public Organisations, Private Businesses and to Social groups. John has Usher syndrome type 2. He has been severely deaf from birth and wears two hearing aids and lip reads. In his late teens his sight began to deteriorate due to Retinitis Pigmentosa (RP) otherwise known as tunnel vision and he now has 5% of vision left. John was first introduced to Deafblind UK in 1999 when, as a psychology student, he interviewed dual sensory people for his dissertation. John started working for Deafblind Scotland when it was formed in 2000 and has now worked for them in many different capacities. John enjoys a challenge. He has walked The Great Wall of China, undertaken The Inca trail to Machu Picchu and trekked the Grand Canyon! Lorna was born profoundly deaf and uses British Sign Language (BSL). She has been a BSL tutor for 9 years. After having children teaching BSL had been really enjoyable and she will now be teaching BSL classes at Deafblind Scotland as well as other training courses. Lorna started working with Deafblind Scotland as a guide/communicator in 2003 and achieved the deafblind studies diploma as well as guiding support level 3. Lorna most enjoys spending with her new baby boy and family. Helen works as Welfare Rights Officer in the Kirkintilloch Office. The project “Connect to Welfare Rights” began in August 2014 and Helen and the team give advice and assistance with welfare information, benefit checks, money matters and anything to do with equal rights or access. As the project is supported by Visibility they also assist visually impaired people. 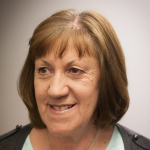 Helen advises the aim is to maximise income for sensory impaired adults by researching up to date information, distribute in accessible formats, providing home visits to complete forms and promoting independence and equal opportunities. Helen began working with Deafblind Scotland in September 2005 as a temp answering phones and carrying out general admin tasks. She then progressed to the Guide Services Department coordinating and allocating jobs to guide communicators. This involved working closely with both guides and deafblind service users. Helen has also volunteered with Citizens Advice in her evenings and weekends. Helen’s background is catering and she worked in various catering management roles before changing direction and coming to Deafblind Scotland. Riley’s role is to organise referrals from Deafblind Scotland members and also external requests for help with their welfare rights. He is involved in making the Welfare Rights service run as smoothly as possible from making appointments to researching funding for equipment. Riley is also a trainee welfare rights officer and has been on a couple courses so far to ensure has the knowledge and skills needed to advise and assist those in need. Before Deafblind Scotland Riley came from a BSL and support background in education and the voluntry sector. He also worked as a supervisor in a cinema while he was studying BSL and gaining experience working with students with additional needs. 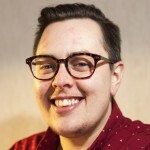 In 2016 he was nominated for a YouthLink Young Person’s Champion Award for his four years volunteering work at a LGBT youth group. Ruth first worked for Deafblind Scotland as a guide/communicator, while at university studying Psychology in 2003. After university she completed the Diploma in Deafblind Studies and went on to run the Community Planning Involvement Project within Deafblind Scotland, then worked in several other areas of the charity. She spent some years in other charities across Scotland as an event manager and operations manage before returning to Deafblind Scotland in 2016. 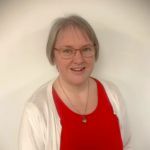 As Special Projects she runs several projects within Deafblind Scotland including Information Projects, IT and Digital Skills Projects, helping deafblind people access information and live as equal citizens within their communities. Ruth also acts as Executive Assistant, supporting the Executive Team and Board of Directors. As Development Officer for Deafblind Scotland Gillian is dedicated to encourage and inspire deafblind people to engage in activities and learning opportunities. She strives to offer a wide variety of lifelong learning activities, health and wellbeing opportunities and social events both within the Deafblind Learning and Development Centre and beyond. Gillian will endeavour to celebrate the achievements of the members which will promote the positive impact of the centre. 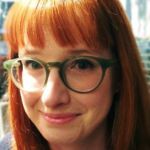 Since Graduating from the Royal Conservatoire of Scotland Gillian has worked for 15 years as a freelance drama specialist working with many of Scotland’s leading Theatre Companies. After which, she managed many Arts and Heritage projects through her role as Cultural Co-ordinator at Falkirk Community Trust. Hopefully, through her work at Deafblind Scotland Gillian will incorporate her love of the Arts, Music, Film, Theatre and Dance.